“This is definitely the most defining period for Tim Cook in his career as CEO,” said one analyst. 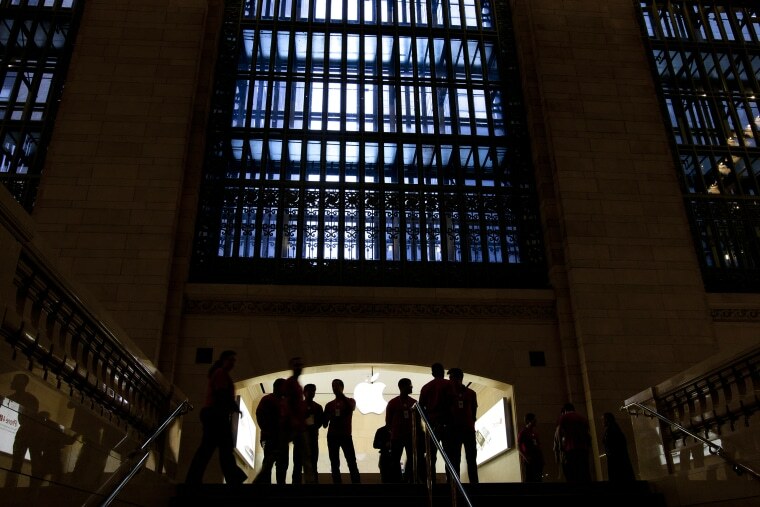 Apple is entering the darkest chapter the company has faced since the release of the iPhone in 2007, according to analysts, as the company grapples with slowing sales and trade tensions with China. Shares of Apple were down 10 percent on Thursday, one day after its chief executive, Tim Cook, delivered the “bombshell” announcement on Wednesday afternoon. In a letter to investors, Cook said unexpected slowing sales in emerging markets would be reflected in Apple’s revenue for the most recent quarter. He said Apple now expected revenue of $84 billion, down from guidance issued two months ago, when the company forecast revenue from $89 billion to $93 billion. “This is Apple’s darkest day in the iPhone era and it is definitely the most defining period for Tim Cook in his career as CEO,” Daniel Ives, managing director of equity research at Wedbush Securities, told NBC News. Ives said it’s too soon to declare whether the iPhone growth story is dead, but Apple’s decisions over the next few months, particularly around the design and pricing of the next iPhone, will be crucial as the company tries to bounce back. “While last night is a bitter pill to swallow and will pressure shares, we believe going forward this is an installed base story of 750 million active iPhones worldwide with 350 million of those in the current window of an upgrade opportunity over the next 12 to 18 months,” said Ives. Several analysts also said Apple will need to produce 5G-compatible smartphones in 2019. The new, fifth-generation mobile network promises lightning-fast internet speeds and will be available on many new Android phones in 2019. Apple said last quarter that it would no longer share the number of units sold of each of its products, including the iPhone. However, data from previous reports shows iPhone sales have been mostly flat over the past three years as more people opt to hold on to their smartphones, especially in the U.S., after carriers stopped offering them for $200. Rod Hall, a managing director at Goldman Sachs, compared Apple to the fallen handset maker Nokia, which relied on customer upgrades to drive its business in an overly saturated market. “Beyond China, we don’t see strong evidence of a consumer slowdown heading into 2019 but we just flag to investors that we believe Apple’s replacement rates are likely much more sensitive to the macro now that the company is approaching maximum market penetration for the iPhone,” Hall said. Apple continued to ride a wave of growth, driven by increased prices for premium iPhones and its strong services business, which includes the App Store, Apple Care and its cloud storage offering. “It's a dark chapter, but the final story hasn't been written,” he said.